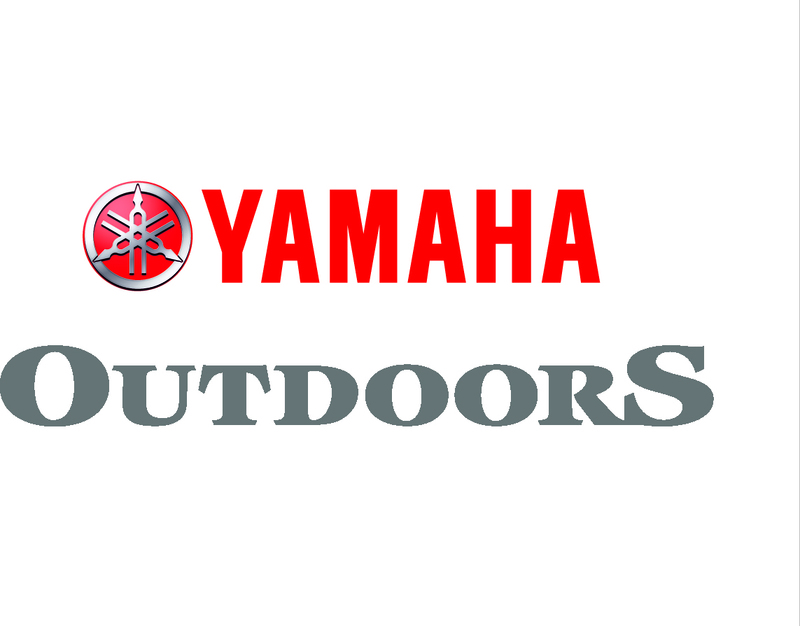 This is the on-line companion to our printed OHV Opportunities Map, the brand new Stay the Trail Where To Go (WTG) App. This full-screen map shows exactly where each trail is located in the state, and our detailed Trail Pages give additional information including photos, videos, and GPS tracks. 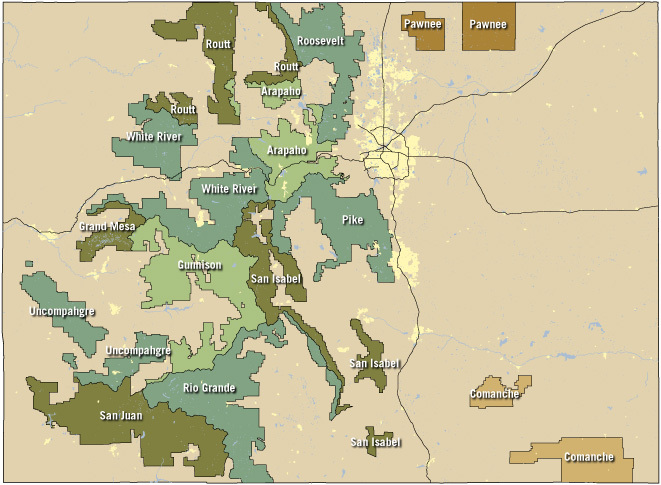 Check Out the New Smart Maps for Colorado Public Lands! Stay The Trail Colorado provides a central webpage where the public, organizations and agencies can download all US Forest Service Motor Vehicle Use Maps (MVUM) for National Forests and Grasslands located in Colorado. These maps are kept up to date as the US Forest Service updates their maps. Funding for this effort is provided by Colorado Parks and Wildlife in the form of grant funding that comes from registration of OHVs in Colorado. Stay the Trail and Great Outdoors Consultants have made the MVUMs “smarter” by making sure they all have geospatial information (the map knows where it’s located in the World) and by providing them in multiple formats. 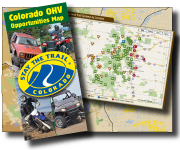 The Stay the Trail statewide “OHV Opportunities Map” is also available. Geospatial PDFs can also be used on Apple and Android smart phones/tablets using Avenza’s free application call PDF Maps. After the PDF MVUM is downloaded on the mobile device, cellular coverage is not needed to use it. This application shows the current GPS location of the user on the map and allows them to perform some basic GPS recording tasks! The application allows you to show the location of geotagged photos you’ve taken with your mobile device right on the MVUM map. PDF Maps has an online map store that allows users of the app to find MVUMs by name or their current location! This app is being used to distribute free maps for the National Park Service, USGS Topo maps and other free maps. All MVUMs found on the Stay the Trail webpage are now also available through the Avenza map store for free! Go to “App Store”, search for “PDF Maps” and install. Open “PDF Maps”, select “Store” function from the lower bar. Select the search function in top right corner. Search for “Stay The Trail” or “MVUM” or a Ranger District, select from the pins that appear. Use the “Free” button to download to the phone. Downloaded maps show up in the “Maps” list on the lower left. Select appropriate map for the district’s trails you will be using. Your location appears using GPS sensor. Go to “Play Store”, search for “PDF Maps” and install. 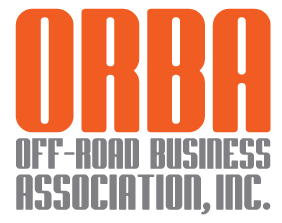 The Travel Management Rule announced in 2005 requires each National Forest and Grassland to identify, designate, and map those roads, trails, and areas that are open to motor vehicle use. MVUMs are the legal record of what motorized opportunities are available on lands managed by the US Forest Service. Locate, view, and download motor vehicle use maps here. Comprehensive travel management is the proactive planning and on-the-ground management of road and trail travel networks. Maps are available in georeferenced Adobe Acrobat PDF (Geo PDF) format, Geo Tiff ZIP format, and Google Earth KMZ format. 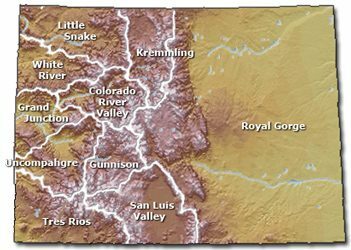 The map shows the forests and grasslands in Colorado. The map shows the BLM Field Offices in Colorado. Maps are available in georeferenced Adobe Acrobat PDF (Geo PDF) format, Geo Tiff ZIP format, and Google Earth KMZ format. If you don't know what format you need, we recommend starting with the Geo PDF format first. Depending on the configuration of your browser, you may need to right click and select "Save Link As...", "Download Linked File As...", or "Save Target As..." to download the MVUM and save it to your computer. Insets may appear in these maps, but the insets are NOT georeferenced. Only the main map area is georeferenced. Open MVUM PDF file in Adobe Acrobat Reader. Scroll around and zoom in and out until the portion you want to print is displayed on screen. Choose File and then Print from the menu bar. Under Pages to Print, click on More Options so that Current View is displayed. Under Page Sizing & Handling, click Fit. Under Orientation, click Auto portrait/landscape. Load the printer with paper and click Print.